Discussion in 'Gran Turismo Sport' started by GTPNewsWire, Mar 19, 2019. This article was published by Andrew Evans (@Famine) on March 19th, 2019 in the Gran Turismo Sport category. GT6mebe, GTracer25, ProjectF and 5 others like this. How about a better game? bremics, PedalFaster, CrimsonKing and 10 others like this. I'd start off with adjusting 1st gear. It's useless during a standing start. I, personally, set off in 2nd gear, TCS 0. The car lends itself to cosmetic changes. Wonder if GR AUTO(not a typo) makes a debut in GT Sport. Pigems and GTWelsh like this. How about playing another game then. ddm, XRaider, GT6mebe and 22 others like this. That has more to do with the game physics, that short first gear in an auto transmission would do very well in the real world with standing starts. The only problematic thing I see is gearbox - automatic with too short gears. But I know that building a car like this (not electrified true sports car) with today's restrictions is a great achievement and the gearbox is necessary concession. GTR365 and AgentBlackDog like this. MidFieldMaven, Supaboost and marcvic like this. Scuderia Paul, sundaydriving, Pigems and 3 others like this. Does it means that Supra GT cup will be an open settings full access competition ? Yup. At best they'll do some PR interviews with top drivers from the championship that will go nowhere. MidFieldMaven, Pigems, seadog777 and 3 others like this. Pigems and Supaboost like this. Supaboost, Novalee and die996 like this. Here is my original comment in the "Gran Turismo: General Discussion" thread. Pay to play would help. The other thing that needs to happen is a logical feedback structure so Toyota engineers and designers are receiving useful information, and GT Sport users aren't wasting time. If this is hype to promote the car, it will generate a bunch of negativity through the community, as unfortunately some are already predicting. If, however, there is a feedback structure and updates suggested by the GT Sport community are in evidence on future iterations, it should assuage the doubters. But it shouldn't be anyone's goal to be an unpaid consultant, that's why higher purses in the Supra Cup would help on gaining quality feedback. We're talking about in game credits. That shouldn't break the TRD bank. AgentBlackDog, Pigems and Leftcurl like this. "But we don't want our cars in video games." #FakeNews - Toyota will never do that. I'm sure they'll use like 4 TRD (or Gazoo) nerds that like the game and that is all. Also, the rather big problem they have with the car can't be solved just with "post-launch updates" or whatever. They messed from the very start and they topped it all off with a huge marketing failure. Either the consumers are getting dumber or the new "Supra" will sell worse than the Chevrolet SS (and that car was good!). Supaboost and DonZmeuheu like this. 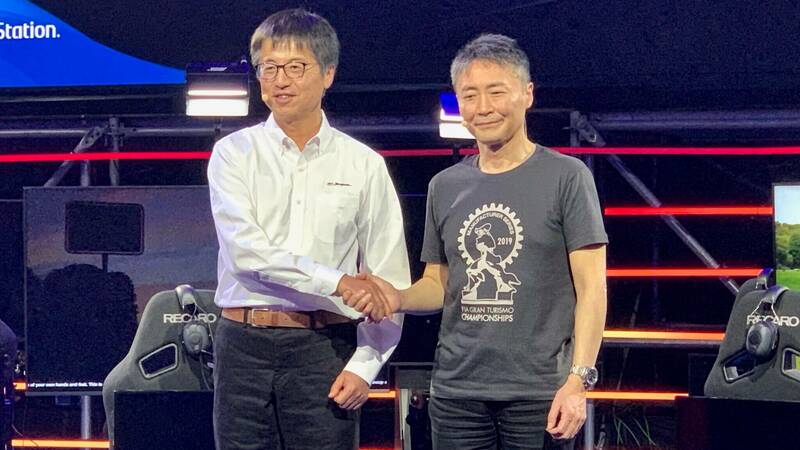 Considering Tetsuya Tada, Gazoo Racing's chief engineer, ask Kazunori Yamauchi for GT Sport players help, I'm not sure how that's fake news. It's about as direct of a source as you can get. Plus @Famine doesn't really have a habit of making things up. Oh, and nevermind that the GTP team was actually in Paris and participated in a number of the events. I_Leak_Oil, CrimsonKing, AgentBlackDog and 4 others like this. To have and give an opinion , we need to start on the same base and speak about the same things. I will never drive a Supra in my life for sure to be able to give my 2 cents about it. On the other hand , i would love to see Fernando Alonso talking about how far those real car behaviors are still sticking to it in the game version. willbegone, Pedinhuh and marcvic like this. So many snarky comments on here, jeez. We get a chance to improve the real car and this is how people react? GT6mebe, Hasnain282, KayX23 and 8 others like this. Wake up from your dreams. How you wanna help develop this car with GTS. Thats completely nonsense. willbegone and wingman1659 like this. ... which begs the question of why you're claiming we are. AgentBlackDog, SDSPOWER01 and ProjectF like this. @Famine @Joey_D --- I'm saying TOYOTA is releasing fake news, not you. This is just a marketing move to appeal to gamers, they might not change a thing and it's sure they won't use real GT Sport players. From: The SHGS (Seriously Helpless Gamers Syndicate). To: Toyota, or M. Toyoda (or his brother Yoda, but I think he is in martial art business). - Could we have a Supra Vin Diesel Edition? with the 26 speeds gearbox? - If our Supra windshield wipers are tired, could we replace its by a Swiffer dust broom (or a toilet broom)? The internal Supra designers must have loved this announcement. Scuderia Paul and marcvic like this. We'll see, when the real world reviews of the Supra debut. Funny how they say that, and yet we see them in GT Sport (a video game). Lol Toyota is lame.